According to a study published this month in The Lancet, alcohol and tobacco rank among the ten most dangerous substances used by humans. Both alcohol and tobacco have been assessed to be more dangerous than illegal drugs like marijuana or ecstasy. Psychiatrists who specialize in treating addictive behavior and legal or police officials with scientific or medical expertise were asked to assign a score to each of the three factors listed above for each drug that was evaluated in this study. All told, 20 different drugs were evaluated, including cocaine, heroin, ecstasy, amphetamines, and LSD. Heroin - popular street names include smack, skag, and junk. Cocaine - often referred to as snow, flake, coke, and blow. Barbiturates - popular slang names include yellow jackets, reds, blues, Amy's, and rainbows. Ketamine - a powerful hallucinogen, often referred to as Special K.
Benzodiazepines - a family of sedative drugs. Amphetamines - known as greenies among baseball players. Solvents - volatile substances that can be inhaled, such as glue, nail polish remover, paints, hair spray, and lighter fuel (gas). 4-MTA - is a derivative of amphetamine and has similar effects to ecstasy. It is estimated that tobacco causes 40 percent of all hospital illnesses, while alcohol is involved in more than 50 percent of all visits to hospital emergency rooms. In light of these statistics, the authors of this study question why alcohol and tobacco are legal to use within current drug policies for Britain and the United States, while less harmful drugs like ecstasy and LSD are deemed illegal to use. The bottom line: alcohol and tobacco are two of the most dangerous substances that you can expose yourself to on a regular basis. In terms of overall potential to cause harm, if used regularly, alcohol and tobacco belong in the same category as other recreational drugs like cocaine and heroin. I appreciate the normally grounded information that you provide. While no one can defend alchohol or tabacco use, if anyone is to believe the title selected "Top 10 Most Dangerous Drugs" then the list must be valid. It is hard not to suspect that this is just more of the mainstream "blame the patient" strategy when considerably more dangerous drugs like Vioxx, Tylenol, Vaccines (Thimerosal), warfarin/coumadin, statins etc, are excluded. I suspect that is the list was based upon valid stats, smoking and drinking would not even make the top 50. Yup I agree with Rob here. The amount of Drugs prescribed to one person is unbelievable and the drugs prescribed do much harm to the body in a very short amount of time. I have experienced this first hand. The top 10 listed here I have not experienced many but the alcohol and tobacco are two I have. The tobacco has not done anywhere near the damage to my system as the ONE cortisone shot I received some 10 years ago and am still suffering the consequences of that. I found it interesting that marijuana made it at the top of the second list of harmful drugs. I believe there is a major misconception about marijuana that tends to be overlooked. Marijuana contains an active ingredient, Tetrahydrocannabinol,or THC, which has never had a documented fatality reaction to it. Now, what can be harmful when using marijuana is inhaling the toxic components, carbon monoxide and tar, just like when smoking tobacco. In fact, when someone smokes marijuana they are inhaling up to five times more toxins than with tobacco. But, I do want to point out the main reason to this discussion is that THC is actually not as harmful as one might think. When marijuana is consumed in other ways than smoking it, e.g. oral consumption of THC in foods or vaporizing the plant, is similar to taking a low dosage of muscle relaxers. Without the smoking toxins, THC can have effects of short-term memory loss and lack of coordination, all which occur only while the THC is active in the body. These effects seem minute compared to other drugs' effects of liver and brain damage. Chronic effects of THC(irreversible even after sustained absitinence) are progressively coming to light with further research. These are indicated for prolonged, heavy users and mainly concern impairment of attention, memory and cognitive executive functions. There are also concerns for neural development, both in adolescents and unborn babies as they are exposed to it via the placenta and even later via the breast milk. Marijuana has also been implicated(though no concrete causal relationship has yet been proven) in the precipitation of schizophrenia. It has been proven to exacerbate schizophrenia too. Marijuana does have medicinal benefits, but many of these can be reproduced with other cannabinoids. THC also produces neurotoxicity and increased neural cell death. It is essentially impossible to have a fatal overdose on though. Relatively speaking you could say that MArijuana is not a dangerous drug. But taken on its own, without comparison to other more harmful drugs, it seems foolish and ignorant to me to say that it is not dangerous. well, you can't really trust any studies these days. The U.S. government biased their studies to get outcomes that would make marijuana look bad. They tried to link marijuana to cancer and failed, then they tried to keep it hushed up. According to http://www.sciencedaily.com/releases/2007/04/070417193338.htm, a study was done where it was shown to reduce cancer growth and reduced existing cancer growth in weight and size. As for schizophrenia, http://www.ukcia.org/culture/effects/mh.htm (just scroll down until you see schizophrenia) says that cannabis does not cause schizophrenia,or any mental illness of that nature directly, but it CAN exacerbate the problem if you ALREADY have schizophrenia or have a predisposition to it. It's the same thing where if you're depressed, you get drunk and it usually makes your problem worse. It also says that no drugs should be used by people under 18 and by pregnant women because MANY drugs can interfere with brain development. Please give sources before making claims. It actually isn't neurotoxic at all, in fact THC releases the powerful anti-oxidant Melatonin which is why it's common for heavy users to not have many dreams at all... however this is beneficial to the brain if anything. and while I'm not trying to say marijuana is free from negative side effects, because it definitely isn't along with many mind altering substances, from personal experience of both in the past I truly believe alcohol to be much more damaging then marijuana both mentally and physically. I have seen 30 year old's who have been relatively heavy drinkers, and I know 30 year old's who were pretty big pill heads and if you met both groups it wouldn't take long to establish who has been more affected. I Would like to support what Jon is saying by providing some experiences from my life. 1. I have seen people use both alcohol and marijuana. 2. I have never seen marijuana cause any harm whatsoever to a human being. The only "discomfort" in it's use which I have been able to spot is overeating, which by looking at the average North American is just that AVERAGE. 3. I have seen many health problems and concerns with drinking alcohol, such as overdose. I have had friends and relatives flirting with death who have needed their stomach pumped to save their lives, their only wrongdoing being drinking LEGAL alcohol. 4. I have noticed violent tendencies in a percentage of all alcohol users, and have witnessed horrible fights and beatings due to nothing other than alcohol. On these notes, I would like you to draw your own conclusions. I think if you really think about your own personal experiences you will find the answer for yourself. Some of you all have made some valid points. But the larger issue is abuse of any type of drug that makes it deadly and harmful physically. As far as "weed" goes it seems to me that it's makes individuals who use slow in reaction and an overall blankness in their personalities. The tone of some comments are on point, but most marijuana smokers are not violent because they are usually zombie like. So the abuse of one drug does not outweigh the other. Marijuana, alcohol, tobacco and the abuse of these chemicals are harmful and are usually coping mechanisms that users adopt to handle stresses, anxieties etc. So the core of the issue is, how to handle day to day pressures of life being drug free. I don't know where you've conducted your research on Marijuana, but this is not the case for most users. I'd say it's true this CAN be the case for SOME. For others, they are very productive, inspired artistically and are not impaired in such a manner as alcohol or another drug would do. Cannabis Oil cures Cancer and a myriad of other health issues, it's practically a panacea. Anyone who compares Marijuana to Alcohol is just not thinking or has never used one or the other. Marijuana cannot be assigned the same danger level as these other substances. The worst part of it for anyone is smoking it, as smoking does damage. Other comments have recommended ingesting or vaporizing it, but even better still, it really should be juiced and drank. I am an avid researcher and for a very long time now have been researching plants and their various healing properties. This is one that is definitely listed in my apothecary. that is so true, people are just incredibly typical, when it comes to marijuana. The most potentially harmful thing about marijuana is the possibility of psychosis. This does not apply to many people, only those who lack the metabolising enzymes in the CYP 450 system, or those who habitually use large amounts of drugs, illegal and legal (broadly speaking, both use the same pathways for metabolism), who overload their metabolism. (Certain populations, eg, those of Asian or Polish descent, are at a much higher risk of poor metabolism). Those people who become psychotic on cannabis risk entering the mental health system involuntarily, and being dosed up with psychiatric medication they cannot metabolise, which in turn makes them more psychotic, mimicking the symptoms of mental illness, which they are then labelled with and treated for. This happens more than I could have imagined until I started working in the field. You do realize that 75% of the NBA uses marijuana and they are the fastest, most accurate and nimble of athletes in the World. I Agree...Not Just The NBA! I Agree...Not Just The NBA! Michael Phelp, Football Player Johnny Jolly, Jerome Simpson, Ross Rebagaliati Olympic Snow Boarder, Randy Moss, Michael Vick, Kareem Abdul Jabbar Ummm Need I Say More. The Use Of Marijuana And How It Effects A Person Depends On That Person. I Use Marijuana Every Day I Work Two Jobs An Go To College. I Never Slow Down ThroughOut My Day Even After Smoking Marijuana And Almost Everyone I Know Has No Idea I Use Marijuana Everyday. Marijuana may not be dangerous, unless of course someone who is high while driving can't respond quickly enough and kills your child. I smoked pot in high school, but started college and found being high left me unable to comprehend correctly, remember,or think insightfully with quality responses. All the time you spend being high are hours of time your mind doesn't develop. In other words, you stay stupid. Same goes for alcohol too though. Pot is just another excuse to avoid the hardships of life. 1. I've seen both sides. Those who have smoked for 10 years are totally different people. You see it in them, you hear it in them. It feels like they are just as many years behind in psychological development. Junkies talk and laugh like they are 12 years old. 2. Alcohol in moderation is not harmful. Drinking a few bottles of beer a week does NOTHING to your body. Weed on the other hand, if you smoke twice a week will change you. The reason for heavy alcohol consumption is that alcohol is so cheap compared to weed. It would be very expensive to smoke every day. 3. Weed does give you health problems when smoked. It's even worse for your lungs than tobacco, because your average user does not use a filter. It's better to make brownies, but that's not what your average user does. Other psychological problems like schizophrenia have shown to appear. I wouldn't want my children to smoke or drink. Both are dangerous. "Occasional and low cumulative marijuana use was not associated with adverse effects on pulmonary function"
"Marijuana may have beneficial effects on pain control, appetite, mood, and management of other chronic symptoms.Our findings suggest that occasional use of marijuana for these or other purposes may not be associated with adverse consequences on pulmonary function." I can't help but point out the errors in your comment. Regarding 1. Correlation does not imply causation. Just because you see junkies behaving immaturely doesn't not mean that marijuana causes immaturity. It could be them being immature that leads to heavy marijuana use (something especially so given the social status of marijuana). Or it could be a third factor that causes immaturity and marijuana use. Also, just because "junkies" OUTWARDLY behave like 12 year olds doesn't mean that they are actually 12 year olds inside. In fact, there is a concept in Tibetan Buddhism called Crazy wisdom, which relates to unexpected, crazy, or immature behavior as a result of enlightenment. Not saying that these concepts are true and therefore blah blah blah... But reduce people to be psychological undeveloped just from shallow observations of outwardly behavior is erroneous. I've smoked for 10 years, not every day, but certainly my share. I find myself to be quite intelligent when it comes to living in harmony with nature in all aspects. I use the herd mentality as my point of reference. And many of these people have never used drugs. Personally speaking, I find that once your mind has been able to look at things from anew, it can never be a bad thing. Plenty of people who have used drugs are far more flexible in their thoughts. It would be expensive to smoke every day? Geese, how much are you smoking? All I need, or all anyone should need (for the most part) is a few hits. Weed is much cheaper than alcohol. All cigarettes that I'm aware, short of American Spirits, has countless toxins in them. That harms your health far more than the tobacco/nicotine/smoke. I have been researching Marijuana for about 2 years now and that's totally true. melatonin is produced by your own body when you sleep, causing dreams like you said. the body needs it. i agree with you, but don't see why it would be good without it? melatonin does not cause dreams it makes you sleepy. Dimethyltryptamine is what makes dreams. Dimethyltryptamine (DMT) is also a drug by the way. I've been telling people this for years, and no one believed me...because i'm just a big pot head, and while there out there getting drunk and pulled over i'm at home getting stoned...not getting my car taken away from me and plus i don't have the agonizing headache in the morning when i wake up. thank you for your precise research Jon. It is perfect for a rave club atmosphere and isn't to be taken daily. Once maybe twice a week which is how my friends and I would do. We were responsible. Worked so we had money for it and entry fee. There is drug USE and drug ABUSE. There are responsible users out there. Do not fault all drug users for the failures of other ABUSERS. May I first say, I really appreciate this website and the work you've done to educate those through online teaching of whole foods-based, preventative and holistic/eudaemonistic well-being. I am a researcher of cannabis, firstly, because I've seen the palliative care it provides people, who are receiving cancer therapy and who suffer from debilitating neuropathies and spasms associated with spinal injury. Secondly, I am a student nurse. The American Nurses Association supports further research into cannabinoid therapies and the re-scheduling of cannabis in the Controlled Substance Act of 1970 where it was placed in the most tightly regulated class of "schedule one" drugs. You are reading into science that was provided by NIDA, the National Institute ON Drug Abuse (not for it). I strongly urge you to reconsider your statements following more research. Allow me to guide you towards some new research designed to promote the medical potential of a plant deemed a "non-medicinal" narcotic worse than crack cocaine (schedule two drug). The U.S. Dept. of Health and Humans Services holds a patent on THC as a neuroprotectant anti-oxidant and anti-inflammatory, along with a non-psychoactive Cannabidiol (CBD). CBD competes with THC at CB1 sites in the brain, but does not stimulate the receptors. Therefore, it (high CBD- cannabis strains)reduces the negative symptoms associated with THC. The implications of schizophrenia being promoted by THC is also connected to the potentially anti-schizophrenic effects of CBD, a known anxiolytic anti-depressant with strong anti-seizure properties. So, you see, the cannabis plant is very dynamic and your view of the research is narrow. Assess the science base again and start with wwww.cannabisinternational.org by Dr. William Courtney, who has proven anecdotally the effectiveness of non-smoked, juiced cannabis. He runs the fan leaves (non-psychoactive) through the masticating juicer. The leaves are freshly picked and consumed with other vegetables. 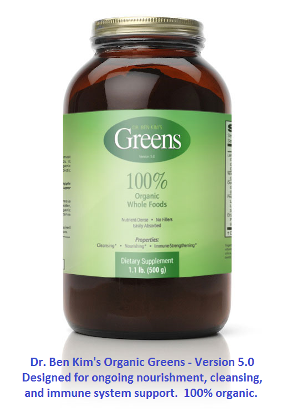 It promotes health without the high and has had miraculous effects. Then, advance to Robert Melamede, Ph.D. and CEO of Cannabis Science, INC.
Actually, it's not so much miracle as scientific fact for the body's endocannabinoid system of all mammals relies on essential fatty acids to produce endocannabinoids and cannabis to supplement this anti-stress/anti-aging system. Endocannabinoids regulate everything in the human body from A-Z cradle to grave and are mimicked by cannabis. This is not a bad thing. 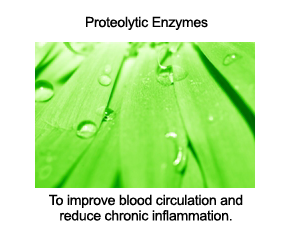 It promotes the reduction of glutamte release following trauma/injury/infarction. It's more potent than Vitamins C & E as anti-oxidation. The THC studies you are reading, I believe, are primarily "reductivist" papers wrought with the agenda of persecutors of cannabis, who seek to support a failed drug war and a pharmaceutical-petrochemical interest group that doesn't want to compete with hemp as a source of fiber, oil, and seed. How can you study the anti-cancer effects of a herb with over 100 cannabinoids that can't be patented? You don't. Pharmacuetical companies want synthetic isolates, inhibtors and stimulators, not cannabis. Much respects to your endeavors. I hope you come to see cannabis as I do, a dietary essential and economic keystone of American, capitalistic values. Alcohol is the most lethal narcotic in America - Beer is the most harmful substance if you consider all the traffic fatalities, Wife beatings and personal liver damage. There are many more responsible diners than non. The media just likes to cherry pick the bad incidents using the availibilty heuristic. (When people think something is more likely to happen because there are more examples or examples are more readily available.) Which doesn't make it more likely. Yes, of course very heavy use of marijuana can be damaging. Some are escaping to not join reality. However: Nitrogen is poisonous in excessive amounts. So is water. What you are looking at there are basically megalomaniacs. I have also seen latent schitzophrenia come to surface sooner. Look at it this way; Maybe it is better to find out the disease exists sooner for some. A young man in Duluth MN hadn't ever used mephrodone. He purchased from a head shop and did them all at once, suffered a coma and brain and nervous system damage..... Maybe we should put Drano on the list? Idiodiocy will kill anyone with nearly anything. Your information is terribly out of date. Now that the fed government is not totally controlling the studies, because the state university's are doing there own studies, cannabis is proving to be one of the most benign and medicinally effective botanicals known to man. Even smoking it has shown no toxic effects. It is not addictive, works for hundreds of conditions and may even cure cancer, though of course, no one has finished scientific studies, YET. The Feds SUPPLY AN ALLOTMENT to 2 people on a MONTHLY basis, through what was a special program THAT WAS DISCONTINUED BY THE Bush administration. One is treating glaucoma, and the other a bone spur condition. Originally there were10 or 12 people in the program. It is being used to treat BABIES/children all over the US for seizure conditions, without the toxic affects of the so called seizure medications. THC no toxic affects, and in fact along with the other conponents (ESPECIALLY CBD) of the cannabis plant is being used to treat damage to the brain from IAD, AND OTHER TYPES OF CLOSED HEAD INJURY. YOU NEED TO EDUCATE YOURSELF AND STOP SPREADING THESE OLD LIES, THAT THE GOVERNMENT MADE UP 70 years ago. I think that the author is focusing on psychoactive drugs. Vioxx isn't even on the market anymore, it was withdrawn in 2004.
i personaly think that cannabis is the least harmful drug that there is one of the reasons is because usually people with arthritis and scoliosis or any other pains just smoke cannabis instead of using pain killers i am not saying that there is no bad effects that can happen to you using cannabis every drug has bad effects on you but cannabis has does the least amount of damage to you. I was Really interested to find Alcohol 4 places above Tobacco as I smoke heavily but have not touched alcohol since 2003!!! People I speak to who have used alcohol dependency to quit smoking have come up with any Reason under the Sun to assert that their habit is not remotely a complete reflection of the attitudes towards Tobacco! I've just read that you suspect that if the list was based on valid statistics, smoking and drinking would not even make the top 50. I am curious to know if anyone has informed you that all statistics (even official) can be both wrong and manipulated. According to WHO (2006), alcohol abuse and dependence accounts for 3.5% of all cases of disease worldwide. This number is larger than illicit drugs and tobacco. I respectfully suggest that perhaps you should carry out a little more research on the dangers of alcohol misuse to mental and physical health. Adrenaline is one of the most powerful drugs in the worked produced by the body as a hormone. I'm not sure where this list came from? Tobacco is one that has one if the highest rates of disease caused illness, and also very addictive. I've taken most every illicit drug out there over my life but nothing(unless prescribed), for the last 13 years. I'm now a nurse. I could make a much more valid list than this if I wanted to take the time and use modern good studies and citations, but nope not now! From the CDC website: More deaths are caused each year by tobacco use than by all deaths from human immunodeficiency virus (HIV), illegal drug use, alcohol use, motor vehicle injuries, suicides, and murders combined. National Cancer Institute says 443,000 deaths per year in the US. That wouldn't make the top 50?! Tylenol is one of the safest NSAID's though not risk free. A list based on valid facts would extremely disagree with you. Alcohol is the number 1 killing drug in America every year, and no other drug is even remotely close. Nicotine and Caffeine are number 2 and 3, and cocaine is a very far distant number 4. I'm stunned Caffeine is not on this list. Just because humans with personal bias and motives make it legal, doesn't make it safe. You seem to forget the pure numbers of people that use and abuse alcohol, is so far beyond the people that abuse all the illegal drugs combined. I find it laughable THC is on this list, I've never heard of a death from marijuana in my life. I suggest DGT cite the sources for the facts he states. The deaths from alcohol are stated to be between 29,000/year to 60.000/year from the CDC, NIH and other official sources. These same sources and the surgeon general state the deaths due to tobacco at 500,000 plus. No debate about which drug kills more. According to the CDC, NIH, and the Surgeon General, tobacco kills at least 500,000/year. All illegal drugs combined kill 17,000/year. These facts leave no debate as to what drug is the most dangerous. According to the NIH, CDC, ACA, and Surgeon general, tobacco kills 500,000+/year. All illegal drugs combined kill 17,000/year. The no debate , tobacco is the most deadly. Alcohol and tobacco are still legal but very dangerous is because they are very big business. To list them as dangerous would mean the collapse of two very big industries that not only employ millions of workers, but make billions of dollars/pounds for a few very powerful people. Also, the sale of tobacco and alcohol raise millions more in taxation income for the governments. Money and control of the population come before health in the eyes of those who run the world. Interesting point submitted by Fiona - "alcohol and tobacco are still legal but very dangerous because they are very big business". Much of the trade in illegal drugs is even bigger business with the proceeds undermining the political and judicial systems of many countries. Also whilst supply is in the hands of criminals there is a vested interest in moving users to greater dependency. Perhaps it's time to consider bringing these illegal drugs within the law so that the proceeds can be channeled back into education and treatment and the socio-economic effects of the illegal trade lessened. It seems purely arbitrary or an accident of history that alcohol and tobacco are legal and the rest on the list are not. Criminals will always win out in the drugs war. They have more resources, perhaps more resourcefulness and certainly fewer scruples. So maybe it's time to think about a different strategy. I can assure you that the alcohol and tobacco trades are way bigger bussiness than any drug sale. Firstly, you have to think of each substance as a trade, not put all the drugs together can call it one big business - because it isnt. Secondly, you have to think of how many are employed in official and legal affairs in the alcohol and tobacco trades - illegal traders may have it as their main-work or pursuit of life but the majority of illegal traders do have real work outside their illegal business. I have no sources, but I will simply let you see that this is true with your common sense: how many adults drink their after-work beer? How many parents take a glass of whine to dinner? How many parents smoke? How many students and singles smoke? The number of this compared to the amphetamine trade for example is way more. I mean honestly, think of your neighbours: I think more of these smoke cigarettes than race on amphetamine. While illegal drugs are more expensive for "one-time-use" compared to alcohol or cigarettes, the overall cost is way higher on alcohol and cigarettes. Street price for 1g amphetamine is around 15£ (lasts one night/morning), while the price for a pack of cigarettes is around 5£. I know alot of people who smoke one pack every day, while I know no one who races on amphetamine every day - I have a wide variety of friends doing different drugs, amongst them amphetamine addicts*. I have personal experience in using amphetamine, and of course in consuming alcohol and smoking cigarettes. People can grow cannabis relatively easily thus meaning everyone would grow it instead of buying it ergo the government can't control it. Governments aren't interested in legalising things they can't make serious money from. I'd vote for the same law they have in Mylasia. If you are ignorant where that is Singapore is there. If you don't know where that is you probably need to try sixth grade again. They have very low drug use. Almost none. Why, If they catch you with any amount you are hanged. No repeal no nothing. Just the rope. They call it Dada Means Death. I agree. There government are best described as two puppets. Some people like one puppet, the others people like the other puppet. Then there are about 1% of us who go, HMM HANG ON both puppets are being controlled by the same person. Who?? Who ever has the most money, that's who! That is how governments work, and we will always be fed the drugs that they want us to be fed. Tobacco is nothing compared to alcohol. To become seriously ill from smoking, you need to smoke heavily, and probably for years, also. To destroy yourself or someone else completely (death), or to cause the most unspeakable social and emotional misery, or physical damage, you need to overconsume alcolol - JUST ONCE. No, and none of these substances should be banned. What's next? "Junk food"? Who pays for the new, giant-sized government department to enforce all this? I am not in favour of tobacco or alcohol, only saying that you don't ban something because some people cannot handle it. I can go without smoking for a whole year, then buy a pack, then go without for another year. And no one is going to deprive me of this, no selfrighteous bureaucrat that is for sure. To me its so sick that I can buy drinks or cigarettes at one of eighteen million places, and I can get more prescriptions from my doctor than my medicine cabinet can hold, but I risk fine and/or arrest when I try to buy a little marijuana from my local dealer. I have to agree, going to the doctor and having the insurance even pay for some of the strongest pain drugs that exist available, versus a dime or quarter of maryjane being illegal, and the person caught with it going to jail, is crazy!! I have taken said pain killers, and smoke some weed in my past,. and I was able to drive a whole lot safer stoned ont he weed, then after swallowing my pain meds. Seriously!! The fact that ectasy and LSD are so low on the list, yet are some of the most damaging drugs to take. A lot of regular people drink once or twice a week, for 20 years, but if these people were doing one of these drugs mentioned above that much, they would be completely insane after a few years, if not a few months. I know that addiction and other things are considered in this study, and that people are less likely to do lsd every week, but some people might think, after reading this study, that ectasy is a "safe alternative" to alcohol. I just dont agree with the way this study is portrayed. Both LSD and Ecstasy are safer than Alcohol; It's just that street ecstasy is often cut with speed, meth, or ketamine to conserve money and supplies. If you managed to find pure MDMA/MDA (often a crystalline white powder called "Molly" for slang) then you have clean ecstasy. Just make sure you replenish yourself with water often as you can - it's possible that you can dehydrate and overheat from constant moving/dancing for long periods. LSD can cause flashbacks, or if you take too much you can have a "bad trip" - which can be easily be prevented provided internet guides. Only 5% of LSD users report flashbacks and 2% of those people say that the flashbacks were unpleasant or disruptive to their everyday life. Personally I've had a few experiences or know someone close to me who has and it makes it difficult to know what to believe. I'm a smoker and I honestly think it's the most disgusting thing I've ever put in my body. I felt the effects of smoking a month or so after I started. I'm also a regular marijuana user. That I've been doing for years and still feel no negative effects. Alcohol however, I suffer lasting side effects from. Alcohol majorly affected my life and I haven't been drinking for a long time. I don't think it's a safe thing to be legally exposing to people. We'd all be better off if marijuana was legal to use. As for cigarettes, I don't even know why I smoke them. They're just a repulsive mixture of toxic gunk that's out to target our organs. Now LSD I find frightening. I was in a car with a friend of mine when he had a flashback and started to drive on the opposite side of the road nearly causing several accidents and managed to go off the road on the opposite side. I've never experienced this drug myself but just from that I refuse to ever be in a vehicle with someone who could potentially have a flashback, (hence the reason anyone who has done LSD can not fly a plane or go into space, and could experience bad flashbacks when flying due to the higher pressure bursting small deposits of LSD that remain on the brain). Ecstasy or MDMA I've never seen cause to much of a problem. If possible though pure MDMA is much better for you than ecstasy. Which ecstasy you are putting so many unknown chemicals into your body you could do some serious harm. On the plus side you won't experience flashback like LSD. When used in small regulated amounts MDMA or more commonly known as "bombs" aren't the worst thing your kids could be into. Although the addictive qualities are something to look out for. All in all, people just need to be more careful of their drug related choices. One thing isn't always going to affect two people the same way. I think this list is rather accurate in regards to responsible use. I couldn't agree with Jim anymore than that. This study may be scientifically corrent, but its is very decieving social. The average kid on the street has no idea of what the various concentrations of these drugs. By looking at this list, they would inially believe that 'Ecstacy is a "safer alternative" to alcohol'. Doctors, proffesors and scientists may agree with this but society and myself certainly do not. Althogh this wouldn't even be considered a drug but I think the most dangerous substance us Absolute Enthanol. Apologies if anything I've said resembles utter BS, I've just never been good at science who finished school with an F.
You're right to some degrees. Most kids are highly likely to reason exactly as you mention and get street xtc, which as that other guy mentioned, is rarely clean and go hurt themselves. However, these kids are just as likely to launch themselves into their parents liquorcabinet, get plastered and hurt themselves just as badly, because alcohol is very harmful to the developing brain and body. Also it makes people do really stupid and aggressive things, as we all know I'm sure. My point is that it is not up to bureaucrats to decide, because: 1) Illegal labels create appeal amongst the youth, 2) it allows for druglords to thrive (like that other guy said, again) and their business is pretty much as close to free market economics as you can get. In other words, supply vs. demand is very much met efficiently. Governments could legalize and tax drugs, thus more money for their budgets, less taxes on other things (kind of farfetched, I know! ), everybody happy (sort of). 3) adults are responsible for their own actions and should have the choice. 4) Kids are always going to experiment, sorry, but the best you can do is guide them in the right direction and hope they'll do well. At the end of the day they need to make their own decisions and learn for themselves. Parents need to take the role of cornerstones for their children, not enforcers. They get enough of that all the time anyways. Sure, I've tried a few of the listed drugs, but I am not a regular user of anything other than alcohol. I think most of the inacceptance stems from cultural norms and standards. Which is why I don't believe our current drug policies in the western world are likely to change anytime soon. Hello. I don't know if an article has ever been done but I think there should be one concerning pain medicine. One of my closest friends has a problem with abusing them and I have known other people who have abused them. (taking them for reasons other then pain related issues) I myself at one point would find any reason to go into the Doctor to get them. (mainly percocet) I initially was prescribed them when I broke my finger and from then on for back and leg pain.I suffer from anxiety, depression, and panic disorder and I also used to sleep on average about 3-5 hours a day in seperate intervals. Percocet was like my cure all(seriously). I would go to bed early I would wake up and be motivated to take my daughter out to the park and for walks, I would go to the store and not feel the anxiety, social settings didn't bother me, I wouldn't argue and get upset with people, I was really calm and I felt really good(happy) etc. Then came the morning I woke up and didn't have any. I could barely get out of bed. My entire body hurt. I had a half of a percocet in the bottle and took it and almost instantly the feelings diminished. This was when I realized I had a problem and that I didn't want to depend on medicine to make me better but rather change my lifestyle and get there naturally. I also knew about all the tylonol I was taking that is contained in the pill. Even over the counter tylonol tells you not to use it longer then ten days. Me and a few of my friends were taking these pain meds( percocet, vicodin) during this time but I stopped. I honestly don't take anything anymore except my insulin. My friend just came by yesterday asking me if I knew anyone that had any pain meds or if I still had any xanax or ativan. She buys the pills. I feel bad for her and I know when people can't get ahold of their high they usually go to the next closest thing thats easy to get and I fear one day she will be doing heroine or some other street drug. People need to really see the devastation of pain killers and how they ruin peoples lives. This is one of the most dangerous drugs to me because it's easier to take them without worrying because you get them from your doctor. Also they really do make life better for the moment and you feel like everything is ok, but once the medicine stops working the only way to function is to get more. It's like the medical equivalent to any highly addictive street drug. I also want to say I think doctors loosely prescribe these drugs and don't think of the patients well being. I would get them easily at any E.R for anything from back pain to a tooth ache. Both sides of my family (father & mother) were deeply into alcohol <but with the right economic background, viz doing well>. I lost my Mom when she was 42, my father when he was 62 in both cases, directly related to their "choice". The title should be "dangerous behaviour", since most alcoholics are unable to see the downward spiral that life becomes. Its consequences reaches down generations ! All we must ask ourselves is: "what does the Prime Minister and the President choose as a "celebration" toast?" Is it champagne or ... ? The Gov't has been inept in controlling dangerous behaviour, as they should be. Only when we as individuals reach an understanding of our behaviour, will damage lessen. I strongly agree with your post on Pain Meds, they really are over-prescribed by many doctors, even when the Doctors know the Patient has become addicted & doesn't really need them for pain. Why don't they prescribe Re-Hab at that point? The majority of Pain Meds are based on Hydrocodone, or Codeine, which is an Opiate. Opiates are closely related to Opium, which is what's grown (in Afghanistan) to make Heroin. This class of drugs changes the way your brain is hard-wired & it's really difficult to re-form those neural pathways once you've gone to far. Heroin is the most effective and one of the safest analgesics in the world. If taken in pure form in a regulated dose the only significant side-effect is constipation. All the highly negative effects associated with heroin are the direct result of its criminalisation. Before 1968 the UK had about 500 heroin addicts who received a daily prescription from their doctor and were able to continue with their normal routine. After criminalisation the number of addicts rose to around 125,000, most of whom had to steal to finance their habit. Because the drug is now cut with numerous poisonous additives, health risks from heroin addiction have also soared. Whilst non-addiction is certainly preferable to addiction, a life free from extreme mental or physical pain is preferable to a painful one. In an enlightened world the opiates will once again be recognised as a gift from nature to be used wisely, and not condemned. I think one problem with this list is there is no consideration from the concentration of drugs. Other drugs being compared with alcohol which would be at number 1 if it was 100%, so where do you draw the line as to concentration. Also, they forgot sugar. Most first world countries have strong addictions to it and it IS a drug which causes significant problems for both individuals and society. Unless you count the leaders (dictators). O.o teaching the truth protecting the kids. Scary things you learn about from drug facts. I would hate for anyone I know to ever start doing drugs. Especially heroin or cocaine, they seem like some or the worse drugs that people could take. Also Inhalants they are a very scary thing people do. Also they are extremely dangerous even though the we teenagers do them and think that they are the least dangerous of them all. I am glad you have this site to help people learn the right and wrong for taking drugs. I guess meth ain't so big in the UK compared with the US and Australia. Market forces may have something to do with it... you need mountains of antihistamines to make meth which the yanks can get from Mexico, while in Oz coke costs around 120 pounds/gram and e's are around 8 pounds/pill. In my opinion methamphetamine is the most harmful checmical/drug. I use the name chemical because that is just what it is. Pure poison. Heroin is probably the least harmful of the heavy duty drugs. Coke can cause heart failure, heroin via respiratory arrest (legal narcotics cause the same), P.C.P. can make you insane. Alcohol causes the most devsatation because it is legal and people get stupid on it real easy. If you choose drugs I would rate them from least harmful to most as (this is not respective of the law as it stands): marijuana, heroin, opium (and that class of drugs C-II's, legal and illegal), and I group speed, P.C.P., inhalants, barbituates, and alcohol is about the same class. I think that marijuana, heroin and cocaine are the safest and would cause the least social, emotional, physical, violent and accident problems of all the drugs/chemicals listed. It is very hard for me to say this as a Christian; however, there is no real war on drugs. Allow Marijuana, heroin, cocaine and alcohol (mescaline for American Indian religious services only) to be legalized. The only reason I place alcohol is this group is because it is already there and making it illegal would creat a real 'war" again. Speed/meth, inhalants, P.C.P., L.S.D., "crack", and variants of them should be completely banned, period! These chemical equal death or insanity. To fight any "war" requires extremes and I do not think this is one that extreme positions can be applied to. Just my opinion. I hope it helps. why does cannabis count as a drug? i have never heard of anyone over dosing on it, you've never seen any violent acts from sombody smoking cannanbis. in fact it used to be legal in the united states, but what happened? cannabis should be legalized. Cannabis counts as a drug cause it is one. Your assuming that for a drug to be a drug it has to have negative effects and cause problems. Pot contains thc and other natural chemicals which have an effect on the body and mind. Caffeine & sugar for example are also drugs. I agree with you that cannabis is not a dangerous drug at all and there is not a single valid reason for it being illegal. Personally I find that weed has had an overall positive effect on my life, same thing with magic mushrooms (which I've only tried a few times). Other drugs that I have tried such as MDMA, alcohol and tobacco have not had a significant negative effect on my life, however have done me no good either. I have seen these drugs have negative effects on the lives of friends though. Bottom line no drug should be Illegal, it should be up to people to make their own decisions. I know that I could probably use a range of soft drugs with little to no negative effect on my life, however I chose to stick to pot when I want to relax, have a good time, sleep it off and wake up refreshed then go about my day. It's done wonders for me. The fact that only alcohol and tobacco are legal makes many people believe that these harmful drugs are the best or safest ways to unwind when they are not at all. Its about time for drug laws to seriously be revamped, because as they stand they are much more harmful to society than the drugs that they attempt to ban. There is also 0 possibility of success for the drug war, the government should stop ignoring this catastrophic failure. Why not legalize the substances and invest the money into drug education (so people can learn to use responsibly rather than getting tricked in to using drugs by dealers looking for cash) and in to rehabilitation for those who all ready have drug use problems? This makes much more sense to me than punishing responsible users which form a majority of drug users. I'm pleased to have found someone talked about reality. I appreciate the logic behind this. Let us get rid of the illogical view to cannabis and spread the logistic view to others. I agree with you about legalizing it. I would put Datura, Methamphetamine, DxM (Dextromethorphan), PCP (Phencyclidine), Oxycodone, Hydrocodone, Piperazines, Beta-Ketones such as Mephedrone and much more drugs on this list. While giving buqi therapy to people at a drugs project I found Ketamine the most frightening. FACT: users have the highest incidence of catheterisation among under 30s because of crystallisation in urinary ducts. Observation: many users are on permanent antidepressants. Experience: black sticky stagnant, severely damaged life force, like houses vacant with no possession. Lumpish. A little similar to datura casualties I'd witnessed in India. A high degree of dissociation also, but this could perhaps be linked to cocaine or any of the other promiscuous cocktail of other subtances ketamine users usually take. A trained person can recognise someone who has taken LSD in last five years by observing eye blink rate. Ergotamine is similar to birth hormone which prepares a mother to be on high alert for the first five years or so. Not necessarily life threatening in itself, but not so good for sustained concentration. Have there been any studies of incidence of DEMENTIA or ALZHEIMERS in long term cannabis users? This would be interesting. I was hoping to be enlightened as to how/why buprenorphine (subs, bupe) specifically was named #10? Obviously, being a narcotic, it is highly addictive and dangerous on a number of levels. While I realize that some are more addictive than others, why aren't all legally controlled narcotics (generalized) sitting at #10. Honestly, I would have expected hydrocodone or oxycodone to be listed higher simply because they contain aceteminophen. Having been prescribed buprenorphine myself, I am really worried. I was under the impression that most of the physical damage I had incurred was due to the excessive amount of aceteminophen I consumed while abusing narcotics like Vicodin. Help? Why would Marijuana be harmful? I would like to say, as a regular user of cannabis, and after reading countless articles and watching many documentaries about marijuana, I have not come to the conclusion that marijuana is in fact harmful for you. I was diagnosed with hyperthyroidism about 2 years ago. Insomnia was a side effect from this disease and it left me with sleepless nights for a long time. I tried many sleeping aids that the doctor had prescribed to me, I tried drinking warm milk, taking hot baths, reading a book, I tried it all but nothing ever worked. Finally, I tried smoking marijuana a couple of hours before going to bed. It has been 9 months now where I continuously have been smoking cannabis and I haven't missed a nights sleep yet. It's the medicine I needed for a long time and it helped me. Having said that, I try to educate myself about the side effects of marijuana. So far I haven't found any study that proves marijuana smoke is actually harmful for you. I did however, come across a study stating that marijuana smoke kills brain cells. I'm sure that most people have heard about this study and everyone believed it for a long time. But, no one asked how they conducted the study! They did this test on monkeys using gas masks that pumped out marijuana smoke. They placed the mask on the monkey 5 minutes per day, and after a month or two the monkeys would die. What they didn't tell you is that while they are pumping the smoke into the monkeys, the monkeys aren't getting any oxygen. Without any oxygen of course their brain cells are going to die, and eventually die themselves. Marijuana smoke does not cause lung cancer and there is no evidence where someone has died directly because of marijuana. It is illegal because the government can not control it. There is absolutely no harm in cannabis and I feel better then ever. Why Drugs Really aren't important. I don't understand why us humans even need drugs. Yes drugs are good to have but what about people who mistreat drugs? People who get a prescription for other things like taking stress away. Some people over react and say drugs cure pain but all it does is make it worse. I live in the U.S. and just heard that in Miami, there was a man who was on Bathsalt and he killed a homeless man. He ate 80% of his face off because of that drug. Tell me how that drug can help someone. Bathsalt is actually supposed to be illegal in all states even though people make the stuff everyday. That man who took that drug, put a lot of people's lives in danger because he thought it was needed to help him with something. Drugs were put in this world for a reason and that reason wasn't to abuse it. They are mean't to help. Come to find out the guy was not on 'Bath Salts' as was reported. He had some synthetic THC in his system and that was it. The guy was clearly crazy, and I don't think drugs had anything to do with it. The Media was trying to sensationalize things - that's it. There are plenty of bad people who do bad things while sober. That doesn't mean that Bath Salts are good for you - far from it, but substances like Bath Salts and synthetic pot are responses to the prohibition of Cannabis. Cannabis is far safer than any of those man-made substances, and if it were regulated I have no doubt all the synthetic junk would be put out of business overnight. Regarding the rest of your statement, people who drink alcohol put far more people's life at risk than any other drug users. 50% of emergency room visits are a direct result of alcohol use - drunk driving and victims of drunk driving, plus drunk people doing stupid things (including drinking too much). Really? They took the oxygen OUT of the air that the marijuana was burned in? After 5 minutes without oxygen, don't you think the monkeys would have died? There is actually evidence that marijuana use does have negative effects- it affects the memory for example. It's definitely not the devil in disguise (brain cell death hasn't been definitively proven), but don't fool yourself into thinking that there are NO consequences to smoking it. They didn't remove the oxygen, but they put a gas mask like device on them and pumped as much smoke in as they could. This in effect lowered the amount of oxygen enough that it killed brain cells. Other than that, Cannabis has not been shown to kill brain cells. Alcohol on the other hand kills thousand of brain cells every time you take a drink. Long time alcohol users get Alcohol Dementia as a result of the neurological damage that alcohol causes. Also, while smoking anything is intrinsically unhealthy, Cannabis can be consumed in completely benign ways, such as vaporization or in food - and that doesn't limit you to brownies. Anything that uses oil or butter works. Finally, while Cannabis use may have an impact on memory and cognitive ability, the effects are temporary and reverse completely within 2 weeks (assuming you stop using). Due to lack of research (as it's a schedule 1 drug), no-one knows if there are any definitive side effects from long-time use, but at least anecdotally I haven't heard or seen any - or experienced them myself. ALL DRUGS ARE USEFUL IN OUR BODY,BUT IT DEPENDS ON HOW YOU USE THAT INTAKE IN YOUR BODY AND THE DOSAGE THAT BEING APPLIED. OTHERS ARE ADDICTED BECAUSE OF SOME REASON THEY FIND THERE DOSAGE THAT THEY ARE TAKEN SPECIALLY ILLICIT DRUGS THAT IS NOT RECOGNIZE BY PHARMACY. IT WAS PROVEN AND TESTED THAT ALL DANGEROUS DRUGS REFER ONLY FOR THE PERSON ITSELF WHO USES IT AND IT DEPENDS ON YOURSELF HOW TO CONTROL IT AND HOW TO USE IT PROPERLY... DRUGS ARE USEFUL,BUT IT MAY DANGEROUS IF YOU WILL TAKE IT OVER USE AND IT WILL CAUSE INTOXICATION IN YOUR BODY. In my admittedly biased opinion, benzodiazepines should top the list. Heroin users who quit three years ago are out living their lives. I stopped benzodiazepines three years ago and I'm STILL sicker than hell. I never abused them; only took them as prescribed. I was never warned THIS was a possibility. This class of drugs should have a black box warning. I could not agree more with this poster. The same thing happened to me. Benzos should be far and away #1. ALWAYS taken as directed. NEVER abused. NEVER warned. 2 1/2 year taper. The removal process was horrendous! Now am 15 months free and STILL sicker than hell. 45 months total and counting. No end in sight. STILL a living nightmare. Mentally disabled. Every day is a struggle. My job, marriage, family and home all threatened. Long term prescriptions should be banned.